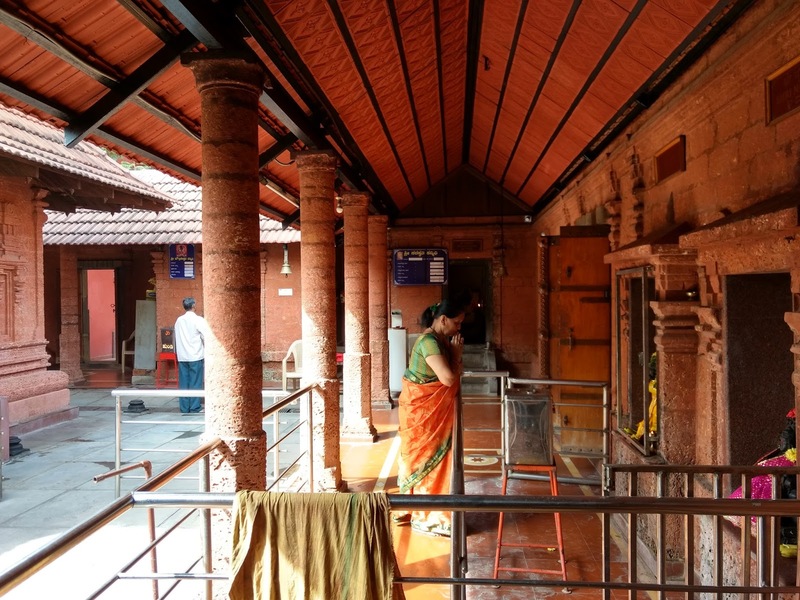 In this post , we share our team visit experience to Nimishambha devi temple at Rajarajeshwari Nagar , Bengaluru. Temple houses a Dwaja stambha at the entrance . 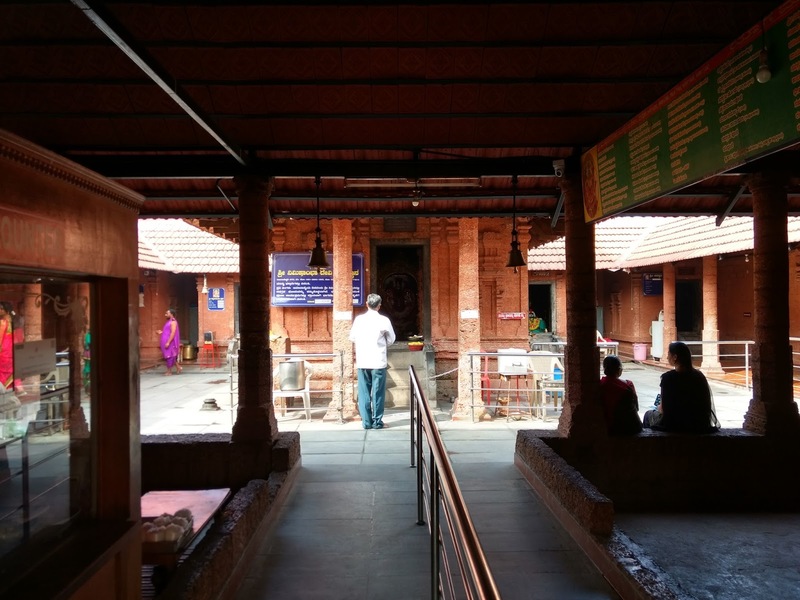 On entering the main diety Nimishambha sanctum is mesmerizing. Spot is very peaceful filled with ambiance. 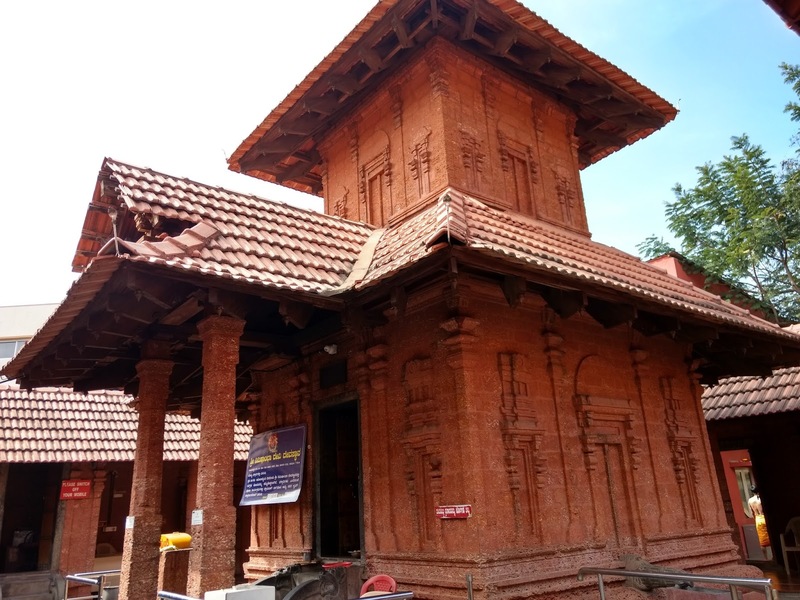 Construction of temple sanctum & pillars resembles typical Kerala type of architecture - sheltered with red tiles. 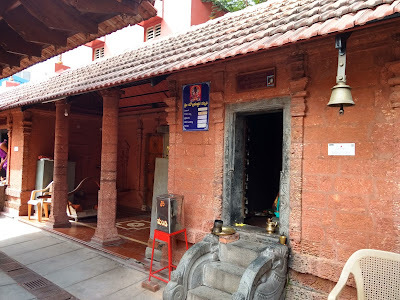 Shivalinga in the form of Mauktikeshwara is worshipped here. Temple is open between morning 6.30 AM to 1.30 PM and at evening between 4 PM to 8.30 PM. Overall a nice temple to visit with family & friends. 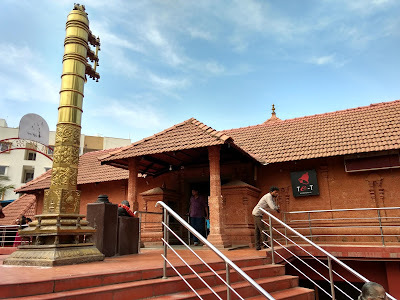 Do visit this spot and share your experience.